What would Florida Mesa look like if the Colorado Department of Transportation excavates 1.82 million cubic yards of material from the northern end of it in order to realign US Highway 550 to the Bridge to Nowhere at the Grandview Interchange? I would prefer not to see the geographical impact of this alternative called RGM6. I would prefer not to see those one hundred thousand dump truck loads (18 cubic yards per load) of material get removed from Florida Mesa. The visual impact of what CDOT is hoping to accomplish will be staggering. Over time, though, the terraced retaining walls, landscaping and associated vegetation would help their human-made canyon blend in to the surrounding terrain. In the end, I won’t forget what the landscape used to look like. At a cost of $78 million, CDOT’s “Preferred Alternative” realignment of this 1 ½-mile stretch of road seems to be disproportionately high compared to the cost of building that much road somewhere else. But I am certainly no road engineer. 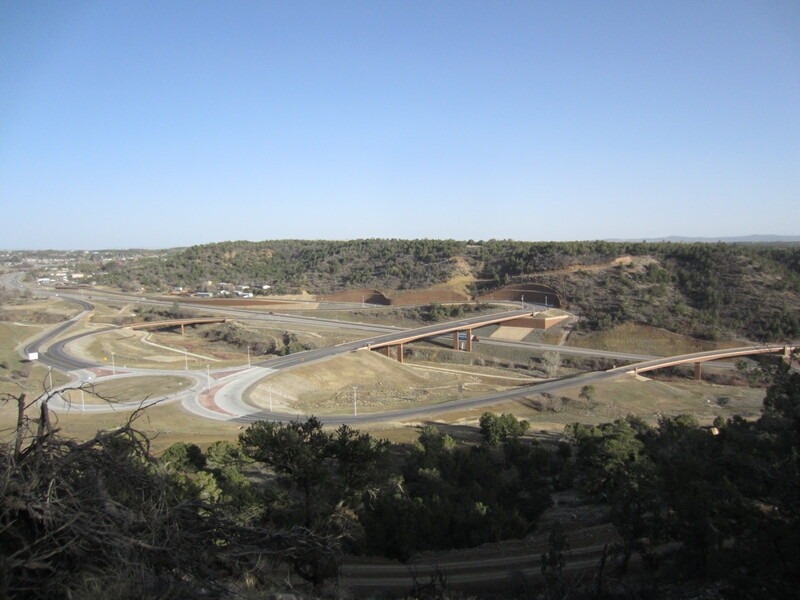 It’s been fifteen years since CDOT initially decided that they were going to realign U.S. Highway 550 to cross Chris Webb’s property and connect it with the so-called Bridge to Nowhere at the Grandview Interchange. Since the Interchange was first built, CDOT has modified their “Preferred Alternative” from going straight across the Webb ranch, to their current proposal (RGM6), which contours along the western to northern edge of Florida Mesa. 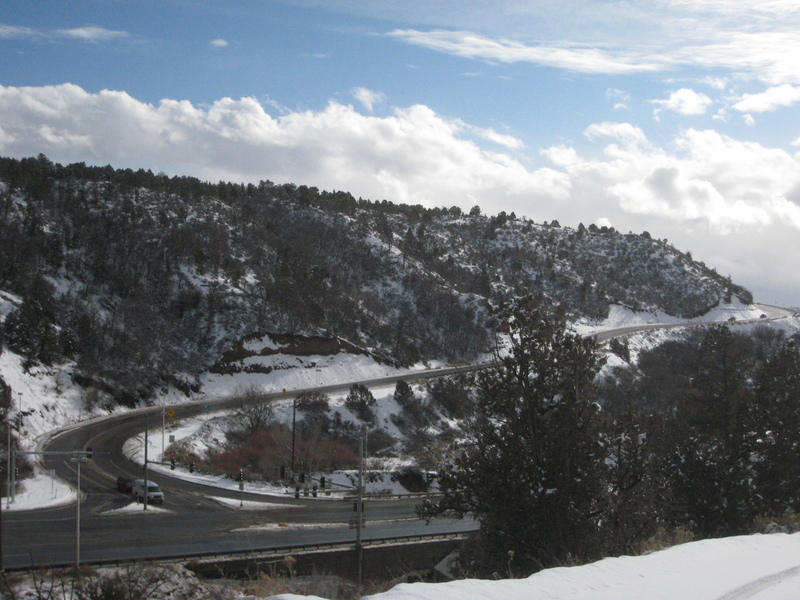 This most recent “Preferred Alternative” of the CDOT has impacts on wildlife that are using the interface between the pinon juniper forest and the grasslands of the ranch as edge habitat. This is where US 550 connects with US 160 at Farmington Hill. Either way, I still have a different preference. I have trouble believing that the existing alignment on Farmington Hill cannot be straightened out a little bit with the grade reduced, visibility around corners increased, shoulders constructed, rumble strips and guardrails installed where needed and an overpass built at the bottom for less money than what CDOT is proposing to spend on their Preferred Alternative RGM6. Aside from the cost, I truly believe that the existing alignment of Farmington Hill can be modified in such a way as to help reduce rollover accidents, collisions with wildlife and rear-end accidents. At the bottom of Farmington Hill where US Highway 160 crosses Wilson Creek, I would support the idea of modifying the ends of the box culvert to be more wildlife friendly so that fawns and calfs can more easily get from one side to the other without having to jump down some big waterfall stairs as it’s currently arranged. If that means supporting a version of what the Webb representatives are calling the R5 Alternative, then that’s what I believe CDOT should implement. City and County agree to fund design of Wilson Gulch Rd. Where should CDOT connect US 550 with US 160?